Danielle Ofri, MD, PhD, is an associate professor of medicine at the New York University School of Medicine and has cared for patients at New York’s Bellevue Hospital for more than two decades. 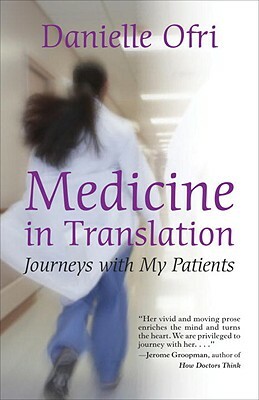 Writing in the Guardian, Andrew Solomon singled out Ofri as the only woman among an extraordinary new generation of doctor writers, saying, “Ofri has produced four impressive books and numerous articles, all striking for their reversion to empathy, their willingness to sense not only the physical life of a patient, but also the emotional.” Ofri’s books and articles have become academic staples in medical schools, universities and residency programs. She is the editor in chief of the Bellevue Literary Review and writes regularly for the New York Times. Ofri in New York City.